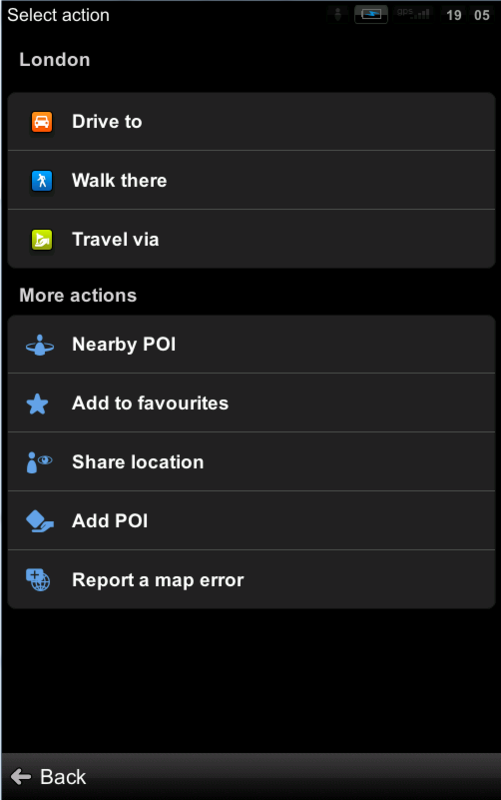 Tap on any point in browse map, an action menu will appear. First you will be prompted to enter a POI name. After the name is inserted, the list of custom POI categories will be displayed. 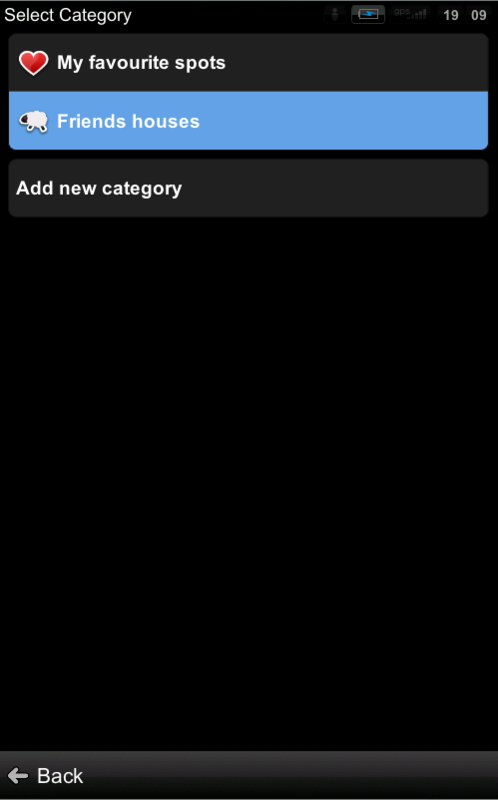 Select a category or Add new category. After the category is selected, you can fill in more information on the POI – telephone, e-mail, URL, description.